It is almost impossible to operate without debt. In the course of your life, you might encounter an emergency that will require you to take a loan because you do not have any other options. Banks know that people cannot live without debt and every day, they are outdoing each other with numerous loan products targeted at different areas of your life. You could find yourself applying for a couple of these loans and before you know it, you will have too many loan bills. 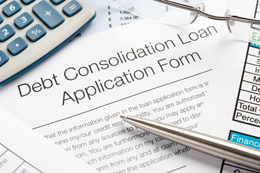 Should you find yourself in a situation where your debts are becoming a problem, you can opt for debt consolidation services such as bill consolidation loans. Some consolidation companies charge very highly for their services. There are those that charge for advice. A good debt consolidation company should not charge you for advice. Those that are concerned about customers give free advice. You could also incur a monthly servicing charge. Depending on the amount of money you owe, the number of creditors you owe and the state you live in, monthly fees could cost you a hefty sum. You should know that debt management companies already charge your former creditors for the debt consolidation service. Charging you an extra amount every month is in essence a double charge. However, if you get to pay a monthly fee, it should not be exorbitant, and it should definitely not be an upfront charge. Nowadays, the one way to perform background checks on a company is to check online. The company should have a website outlining its services and showing real customer testimonials. Social media presence is another advantage, because you can get to see interaction between customers and the company. It should be easy to sign up for the service online, on the phone, or to fill up a form and send via email. You should be able to use property such as your house or car, to secure your loan. It should also be possible for you to access a consolidated loan with no security. In such a case, your credit score will be your security. Once you finish paying your debts, you could end up in debt again if your spending habits do not change. Good consolidation companies provide credit counseling services to keep you from regressing. Counseling also helps you to stay into the program until you have cleared all your loans. A good debt consolidation company provides good customer care. You obviously have many questions and you will only get help if the company puts emphasis on providing quality help. If you find a company that has the above qualities, you will have an easier time with your debt consolidation process. Your four step criteria for debt consolidation looks like something that would be super helpful to me. I am like most and am in debt because of lack of managing money skills. For that reason, it is important to get out of debt with as much help as I can. A reasonable plan and as much help as I can get are some very key strategies that make your plan appealing. Thank you for sharing such a great information about identifying good debt consolidation company. I like the concept of debt consolidation because all the debts can be paid through the single debt consolidation loan, but it is important to identify the genuine debt consolidation company. This article shows four qualities that defines the good debt consolidation company. All the points are explained nicely and I can get more help with these points. You can also get more details about debt consolidation by searching for how to consolidate your review. Everyone should refer this before selecting debt consolidation company. I had got fantastic knowledge about identifying companies from the core. Well done. This is what every debt consolidation company must have. Everybody wants quality results and the company which gives quality debt consolidation results can be called as a good debt consolidation company. Reviews about the company can give more details about the quality of the company and so that it will be easy to know that we are dealing with a good company or not. If you do not know how to consolidate your reviews then just go through the article once and you will get the solution. Thank you for talking about reasonable charges because most of the people do not know about the charges of debt consolidation company.